The third leadership school aims to help address the lack of female creative directors. 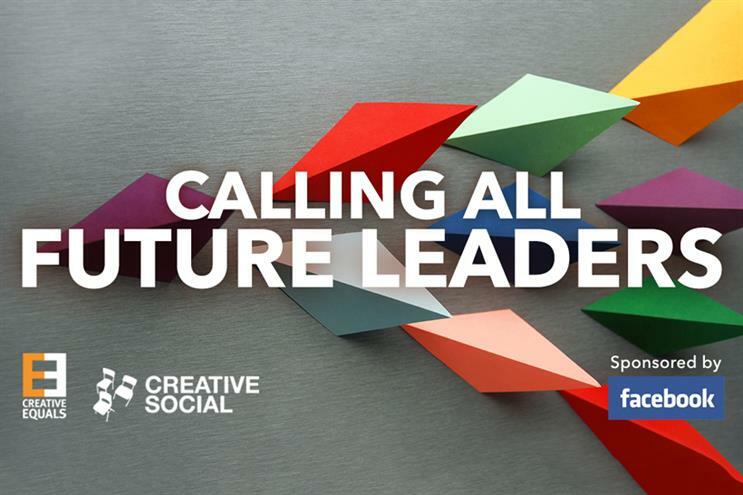 Creative Equals have launched their third leadership school series as part of its #FutureLeaders initiative. Campaign and Creative Equals recently revealed the winners of this year's future creative leaders, the next generation of female talent poised to redefine the industry. The Future Leaders training programme was set up to help tackle the gender imbalance in the creative industries. According to Creative Equals latest data in London the number of female creative directors has risen from 12% to 16%. The six-month programme, which is a collaboration between Creative Social and Creative Equals, is now calling for places for its third cohort, supported by Facebook. It’s designed to help senior female creatives improve their core leadership skills. Sessions will focus on ‘culture building’, media training, negotiation, business skills and public speaking. Mentors confirmed so far include Harriet Minter, executive coach and ex-editor of The Guardian’s ‘Women In Leadership’, section Richard Robinson, managing partner of Econsultancy, Roxanne Hobbs, founder of Hobbs Consultancy and Zoe Clapp, chief marketing officer of UK TV. Twenty-five places are available and Creative Equals is offering two scholarships for single mothers or creatives in between jobs. You can apply for the scheme here.